This is kind of weird – this morning in my email I had 20 notifications of all these different sites linking to an old entry of mine from 2006 where my car stereo was stolen. 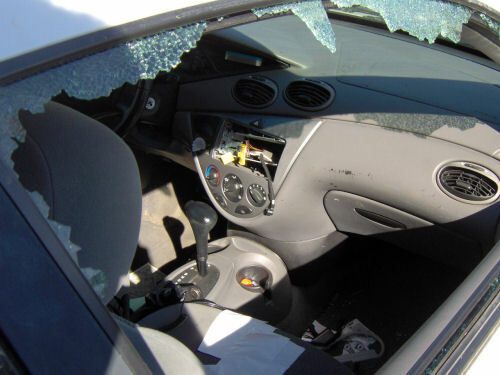 It’s a story about car stereo thefts going down and they’re all using the picture of my broken car window and linking to my site for credit. Nice of them to give me credit for it. (To read the story, look at the comments on the original entry.) Wonder if actual newspapers will end up using my picture. You should have Richard Cardo investigate this. Someone broke my passenger window out and stole a credit card out of my glove box. They used it all over Nashville,but the thief got caught by using my credit card to buy minutes for his cell phone at a gas station.